KOCHI: One day, when she was in Class 10, Priya Manoj was getting ready to go for her dance classes at Tavanur village in Malappuram district. But suddenly, her father KU Gangadharan came into the room and said she could no longer do so. Priya looked shocked. “You are in Class 10,” said Gangadharan, a teacher. “It is time to concentrate on your studies and do well in the exams.” For Priya, dance was her life. She began learning it when she was only six years old. Not surprisingly, Priya began crying. She begged her father but he did not relent. But Priya never gave up on her dream. While doing her MA and B. Ed,she did training under many gurus, including Padma Shri Kshemavathy and Kalakshetra Haripadman. Seeing her commitment, thereafter, her parents offered an unstinted support. Later, Priya got married and moved to Abu Dhabi in September, 2002. But thanks to her husband’s encouragement, she began dancing again and teaching various art forms like Bharatanatyam and Mohiniyattom to students at the Model Indian School. 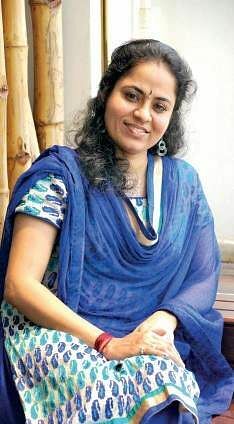 She also teaches at the Indian Social and Culture Centre, Kerala Social Centre and Malayalee Samajam.But, inevitably, she would come across parents who would insist that their children stop dancing when they reached Class 9 or 10. Priya felt a natural empathy for the students since she had gone through a similar experience. “When you block children, their confidence gets shattered,” she says. So, Priya has begun orientation classes for parents. “I talk to them regarding the importance of art and hobbies,” says the dancer, while on a recent visit to Kochi. 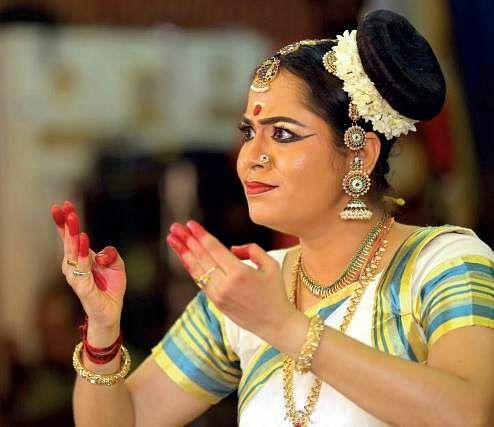 Priya had just done a solo Bharatanatyam performance on Lord Krishna at Guruvayur, even as she prepares a Mohinyattom performance on the same subject. Meanwhile, other talented women have been able to put up public performances. So, in her own way, Priya is trying to transform lives, both among the young and the middle-aged, through the medium of dance. “This is my way of doing something for society,” she says.